My son bought me the red and black version for Christmas last year. This shirt is high quality, looks great , is comfortable and warm as well. 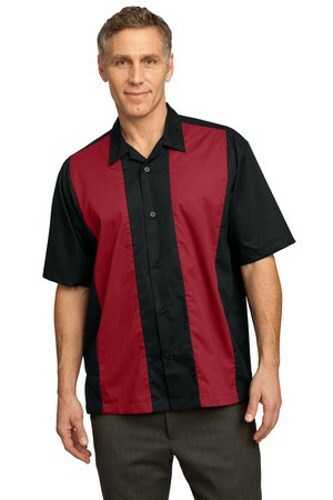 Great for dressing nicely for tournaments or just showing your love of bowling at your local alley . The feedback we have received, is that the shirt should run true to size. Unfortunately, the customizable shirts that we advertise online will be the only ones available at this time. Unfortunately, these will only come in men sizes. Due to the time it takes to produce the Port Authority Retro Camp Shirt Black/Red ball it will ship in 1-2 weeks. We cannot ship this ball outside the United States.